hd00:1502.08.2015 - Garachico. Tenerife. 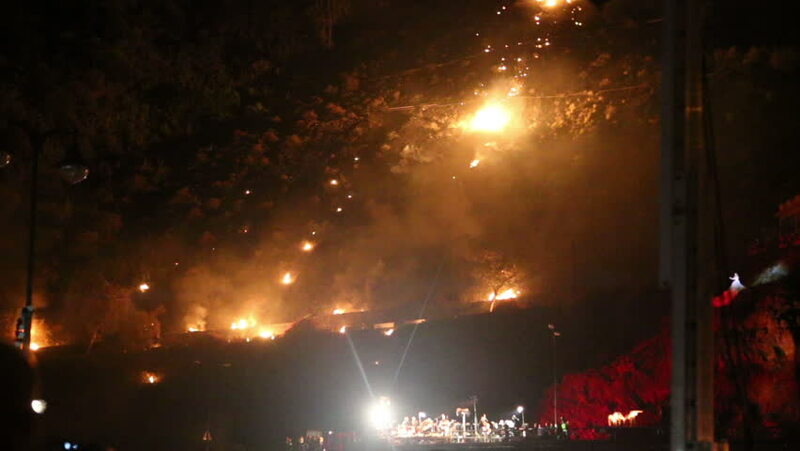 Fuegos del Risco - event is in memorial of the volcanic eruption of 1706 witch destroyed the main part of Garachico. This event takes place once each 5 years. hd00:30Tram's rear window view. Cold weather cityscape. Night time. Focus on window. Glowing blurred lights. hd00:20Fireworks. Fire show. Boys and girls dance in shoes that glow in the night. hd00:19Fireworks in different colors with smoke and sound.